Art in the Pass grew out of the “Collage” which had its first artists showing in 1995. Through the years, the annual event has moved its venue from the gardens of a private home, to the Park at Trinity Church, and finally to the War Memorial Park — where it has been held for the past several years. Taking the idea from a Garden District showing of art works, Collage Founder Malee Hearin realized that such a showing would be great for the Gulf Coast. After promoting it within her immediate community of artists it was introduced in October 1995 as the "Collage" — which was exceedingly successful with 42 exhibitors. As Malee remembered, the weather behaved well, except for the gnats, and there was an attendance of over 1,000 people. The promotion was not organized for profit, but rather, to promote the arts and the image of a community of artists in the Pass. Malee was first to realize that there was a great deal of talent, but a shortage of organizers! Collage, became an alliance of artists and craftsmen, having its first show in the van Meerveld gardens on Scenic Drive. Pass Christian's first annual Collage Arts Show was a resounding success! Saturday, October 28th, was a glorious day and Sunday only a shade bit less so — the predictions for rain did not materialize until Monday. The range and quality of talents displayed was amazing — and the turnout of art lovers was gratifying. The garden of Jan and Joy van Meerveld provided a spectacular setting for the 42 artists and artisans from the Pass and nearby communities who exhibited their diverse works of art. Most of it was available for purchase, and a large number of attendees departed proudly clutching their new treasures. Exhibitors were assigned a 15-by-15-foot area in which to pitch an open-sided tent that provided a backdrop for their artworks. They filled most of the nicely-landscaped garden which extended to Second Street. Art forms included painting in all media — ceramics, metal sculpture, jewelry, doll crafting, whistle sculpture, weaving in addition to the art of writing and illustrating children's' books. The 1996 show was held on the shady tree-shrouded park grounds south of Trinity Episcopal Church — while simultaneously, the church held its annual Fall Festival. Collage exhibitors booths were scattered in the shade of the oaks on the beautiful church grounds consisting of over 40 artists. As part of Trinity's annual Festival, special foods were prepared by Chefs Jeanne Hansen and Myrna Negrotto, — and there were activities for the younger set including sales at the Halloween Pumpkin Patch. The Church also conducted an art auction of exhibitor works. Among the returning artists for 1996, was Dot Hector, who was still active at age 92-years. During the First Collage, she had received 14 commissions to create water colors of homes. Other artists included portraitures Eugenia Shirley, Georgia Kuhner and Jean Hammett, and in handcrafted jewelry design were Cathy Cooper Stratton, Rosemary Marti, and Joida Evans. There was Sheryl Lutz pottery; and weavers Helen Curry Caire and Gin Ahlswede; and doll makers Lois Kentzel and Betty Arbo. Painter Sharon Mortillardo had sold 23 works in 1995 in addition to receiving a commission from a decorator for 24 more items. The third annual Collage At Trinity Arts Festival was held on October 18 and 19, 1997. 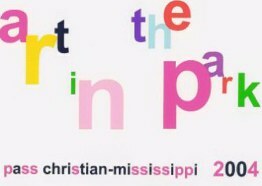 Most of the 40-plus artists and craftsmen who displayed their work were Pass Christian residents, with the remaining exhibitors from other parts of Mississippi, in addition to Louisiana, Alabama, and Florida. The art forms during the weekend extravaganza were as varied as the artists themselves, many of whom are quite renowned. Displays of paintings in all mediums, as well as sculptures, jewelry, pottery, ceramics, home accessories, clothing, interior designs, woven items, stained glass, furniture, and more. Collage provides an educational exposition for novices to the art world as well as sponsoring the Dot Hector Memorial Scholarship Fund. Profits from sales of items produced by select artists go directly to the scholarship fund in honor of one of the foremost Graphic folklorists of Mississippi. Funding for the scholarship was first advanced by the creation of a collection of artful items. Jan Hutchison designed a limited edition of collage pins, all of which are unique. Garnet Mingledorff sketched a rendition of the Collage Festival, and Collage pins were designed by Vicky Lever. Young artist, Michelle Gates Lavoie, was recipient of the first Dot Hector Memorial Scholarship. The annual two-day "Collage - the Festival of Arts” was celebrated beneath the shade of the Live Oaks at Memorial Park. The outdoor arts arena of Arts and Crafts booths blanketed the park grounds in a mosaic of colorful tents while live music was played and special gourmet lunches provided by the Acadian Grill Restaurant. The Festival opened at 10 a.m. on Saturday, October 2nd with an Art Auction. All proceeds benefitted a College Scholarship in the Arts, as a tribute memorial to Pass Christian artist, Dot Hector. Collage coordinators were Georgia Leyser and Susie Michael. First called the "Collage" --- later, "Collage Art in the Park" --- now, "Art in the Pass" --- having settled on Pass Christian's unique venue under the Oaks at War Memorial Park overlooking the Mississippi Sound and beaches. Artists are juried to find a group of talented artists in a variety of mediums including painting, photography, print making, sculpture, pottery, fiber arts, glass arts, woodworking and jewelry. Participating artists personally show and sell their work to the public. A silent auction is held each year in conjunction with the festival, with proceeds benefiting the Dot Hector Memorial Art Scholarship and other art related programs deemed appropriate by the Art in the Pass Committee. Art in the Pass is made possible through the hard work and dedication of community volunteers and the donations of sponsors. The event is sponsored by the Pass Christian Chamber of Commerce. Besides its league of professional artists, amateur artistry is also promoted from within the local school systems as well as with the Boys and Girls Club, whose members are encouraged to create, deliver and set up their own display of personal art. Members are also encouraged to assist in the festival's operation including help in setting up displays, assisting with and selling refreshments, critiquing exhibits, and dismantling the festival at end of the last day.